How do I download Hardware Support Packages and Optional Features for installation on a computer that is offline or that is behind a Proxy/Firewall? In order to install the Hardware Support Package and Optional Feature on the offline machine, you will need to use the new stand-alone downloader to obtain the files needed. As of R2018b, a Support Software Downloader for Hardware Support Packages and Optional Features is available that allows you to download them for releases R2016b and above without having to install MATLAB on another machine. Inside of the files that were moved over, there is a readme text document in the support package that explains the process to start the installation process. Please run through those steps to install your support package. How to download a Support package for installation on an offline computer for MATLAB R2016b and below? How to get information about proxy username and proxy password ? If you are using a proxy then you need to ask the proxy IT management about the username and password that you should use. I have successfully downloaded my hardware support packages of interest using an internet connected machine. I then copied the folder to a works machine which can't connect to the web. I also had various other failures but I think these were related to requiring the Embedded Coder support installed. It reaches 100% and I get the green tick on the "Installing Support Packages". This is followed by a long pause and the "Install 3rd Party Software" never starts and I get the generic failure message "Something Unexpected Occurred - To resolve this issue contact Technical Support". It seems as if it might still be trying to access the web for the 3rd Party Software? The failure is exactly as Stuart described -- "Something unexpected occurred" hard error during 3rd party software section of the install. Additionally I have noticed that, for the Beaglebone Black support package, performing the "targetupdater" process (to configure a new board for use with Simulink) also requires an internet connection. The target updater appears to be doing an "apt-get" to update Linux libraries on the board via internet repositories, rather than direclty installing libraries from locally-stored copies. So this hardware support package is not even fully functional post-installation without active internet. This is Stuart again with an update. The TEMPORARY fix of downloading as well as installing the HWSP on the internet machine and then copying the whole directory across from the internet machine to the offline machine seems to have enabled all the things I've tried so far. The common support package directory is found in C:\ProgramData\Matlab for 2016b. Note you still have to go through the process of attempting to install the packages on the offline machine as, although it will fail, you get enough of the stuff "registered" within Matlab/Windows for the software to work. This is probably the wrong place for the following ERROR but it's my best guess. This happens on both the offline and the internet connected machine. I've tries both the Examples for HW/SW Co-Design Workflow and they both fail when trying to send the Software down to the E3xx aka "Deploy To Hardware". Note that both examples work in the "External Mode". ### TLC code generation complete. C:\Xilinx\SDK\2015.4\gnu\arm\nt\bin/arm-xilinx-linux-gnueabi-gcc -c -march=armv7-a -mcpu=cortex-a9 -mfloat-abi=softfp -mfpu=neon -MMD -MP -MF"rtGetInf.c.dep" -MT"rtGetInf.c.o" -O2 -DMODEL=usrpe3xxHWSWQPSKSL_interface -DNUMST=3 -DNCSTATES=0 -DHAVESTDIO -DONESTEPFCN=1 -DTERMFCN=1 -DMAT_FILE=0 -DMULTI_INSTANCE_CODE=0 -DINTEGER_CODE=0 -DMT=0 -DCLASSIC_INTERFACE=0 -DALLOCATIONFCN=0 -DTID01EQ=0 -D__MW_TARGET_USE_HARDWARE_RESOURCES_H__ -DSDRZ_SW_PROJECT -DRT -DSTACK_SIZE=64 -D__MW_AXI4STREAM_WRITE__=1 -D__MW_AXI4STREAM_READ__=1 -D__MW_SDR_INTERRUPT_MODE__=2 -D_POLL_DRIVEN_BASERATE_ -DPOLL_SEARCH_PATH=\"/sys/devices\" -DPOLL_FILE_NAME=\"dma_ch2\" -DPOLL_INITIAL_TICKS_COUNT=2 -DPOLL_ERROR_ON_TIMEOUT=0 -DONESTEPFCN=1 -DTERMFCN=1 -DMAT_FILE=0 -DMULTI_INSTANCE_CODE=0 -DINTEGER_CODE=0 -DMT=0 -DCLASSIC_INTERFACE=0 -DALLOCATIONFCN=0 -DTID01EQ=0 -DSDRZ_SW_PROJECT -DRT -DSTACK_SIZE=64 -DMODEL=usrpe3xxHWSWQPSKSL_interface -DNUMST=3 -DNCSTATES=0 -DHAVESTDIO -IC:/ProgramData/MATLAB/SupportPackages/R2016b/toolbox/shared/sdr/sdrplug/sdrpluginbase/host/include -IC:/ProgramData/MATLAB/SupportPackages/R2016b/toolbox/target/supportpackages/zynq/include -IC:/MATLAB/R2016b/simulink/include/sf_runtime -IC:/MyMatlab2016b/QPSK_E3xx/usrpe3xxHWSWQPSKSL_interface_ert_rtw -IC:/MyMatlab2016b/QPSK_E3xx -IC:/MATLAB/R2016b/extern/include -IC:/MATLAB/R2016b/simulink/include -IC:/MATLAB/R2016b/rtw/c/src -IC:/MATLAB/R2016b/rtw/c/src/ext_mode/common -IC:/MATLAB/R2016b/rtw/c/ert -IC:/MATLAB/R2016b/toolbox/dsp/extern/src/export/include -IC:/MATLAB/R2016b/toolbox/dsp/extern/src/export/include/src -IC:/MATLAB/R2016b/toolbox/comm/extern/comm_rt/export/include -IC:/MATLAB/R2016b/toolbox/comm/extern/comm_rt/export/include/comm_rt -IC:/MATLAB/R2016b/toolbox/shared/dsp/vision/matlab/include -IC:/MATLAB/R2016b/toolbox/dsp/include -IC:/ProgramData/MATLAB/SupportPackages/R2016b/toolbox/shared/sdr/sdrplug/sdrpluginbase/esw/xilarch/zynq/sw_targeting/@slCustomizer/../include -IC:/MATLAB/R2016b/toolbox/target/codertarget/rtos/inc -o "rtGetInf.c.o" "rtGetInf.c"
C:\Xilinx\SDK\2015.4\gnu\arm\nt\bin/arm-xilinx-linux-gnueabi-gcc -c -march=armv7-a -mcpu=cortex-a9 -mfloat-abi=softfp -mfpu=neon -MMD -MP -MF"rtGetNaN.c.dep" -MT"rtGetNaN.c.o" -O2 -DMODEL=usrpe3xxHWSWQPSKSL_interface -DNUMST=3 -DNCSTATES=0 -DHAVESTDIO -DONESTEPFCN=1 -DTERMFCN=1 -DMAT_FILE=0 -DMULTI_INSTANCE_CODE=0 -DINTEGER_CODE=0 -DMT=0 -DCLASSIC_INTERFACE=0 -DALLOCATIONFCN=0 -DTID01EQ=0 -D__MW_TARGET_USE_HARDWARE_RESOURCES_H__ -DSDRZ_SW_PROJECT -DRT -DSTACK_SIZE=64 -D__MW_AXI4STREAM_WRITE__=1 -D__MW_AXI4STREAM_READ__=1 -D__MW_SDR_INTERRUPT_MODE__=2 -D_POLL_DRIVEN_BASERATE_ -DPOLL_SEARCH_PATH=\"/sys/devices\" -DPOLL_FILE_NAME=\"dma_ch2\" -DPOLL_INITIAL_TICKS_COUNT=2 -DPOLL_ERROR_ON_TIMEOUT=0 -DONESTEPFCN=1 -DTERMFCN=1 -DMAT_FILE=0 -DMULTI_INSTANCE_CODE=0 -DINTEGER_CODE=0 -DMT=0 -DCLASSIC_INTERFACE=0 -DALLOCATIONFCN=0 -DTID01EQ=0 -DSDRZ_SW_PROJECT -DRT -DSTACK_SIZE=64 -DMODEL=usrpe3xxHWSWQPSKSL_interface -DNUMST=3 -DNCSTATES=0 -DHAVESTDIO -IC:/ProgramData/MATLAB/SupportPackages/R2016b/toolbox/shared/sdr/sdrplug/sdrpluginbase/host/include -IC:/ProgramData/MATLAB/SupportPackages/R2016b/toolbox/target/supportpackages/zynq/include -IC:/MATLAB/R2016b/simulink/include/sf_runtime -IC:/MyMatlab2016b/QPSK_E3xx/usrpe3xxHWSWQPSKSL_interface_ert_rtw -IC:/MyMatlab2016b/QPSK_E3xx -IC:/MATLAB/R2016b/extern/include -IC:/MATLAB/R2016b/simulink/include -IC:/MATLAB/R2016b/rtw/c/src -IC:/MATLAB/R2016b/rtw/c/src/ext_mode/common -IC:/MATLAB/R2016b/rtw/c/ert -IC:/MATLAB/R2016b/toolbox/dsp/extern/src/export/include -IC:/MATLAB/R2016b/toolbox/dsp/extern/src/export/include/src -IC:/MATLAB/R2016b/toolbox/comm/extern/comm_rt/export/include -IC:/MATLAB/R2016b/toolbox/comm/extern/comm_rt/export/include/comm_rt -IC:/MATLAB/R2016b/toolbox/shared/dsp/vision/matlab/include -IC:/MATLAB/R2016b/toolbox/dsp/include -IC:/ProgramData/MATLAB/SupportPackages/R2016b/toolbox/shared/sdr/sdrplug/sdrpluginbase/esw/xilarch/zynq/sw_targeting/@slCustomizer/../include -IC:/MATLAB/R2016b/toolbox/target/codertarget/rtos/inc -o "rtGetNaN.c.o" "rtGetNaN.c"
C:\Xilinx\SDK\2015.4\gnu\arm\nt\bin/arm-xilinx-linux-gnueabi-gcc -c -march=armv7-a -mcpu=cortex-a9 -mfloat-abi=softfp -mfpu=neon -MMD -MP -MF"rt_nonfinite.c.dep" -MT"rt_nonfinite.c.o" -O2 -DMODEL=usrpe3xxHWSWQPSKSL_interface -DNUMST=3 -DNCSTATES=0 -DHAVESTDIO -DONESTEPFCN=1 -DTERMFCN=1 -DMAT_FILE=0 -DMULTI_INSTANCE_CODE=0 -DINTEGER_CODE=0 -DMT=0 -DCLASSIC_INTERFACE=0 -DALLOCATIONFCN=0 -DTID01EQ=0 -D__MW_TARGET_USE_HARDWARE_RESOURCES_H__ -DSDRZ_SW_PROJECT -DRT -DSTACK_SIZE=64 -D__MW_AXI4STREAM_WRITE__=1 -D__MW_AXI4STREAM_READ__=1 -D__MW_SDR_INTERRUPT_MODE__=2 -D_POLL_DRIVEN_BASERATE_ -DPOLL_SEARCH_PATH=\"/sys/devices\" -DPOLL_FILE_NAME=\"dma_ch2\" -DPOLL_INITIAL_TICKS_COUNT=2 -DPOLL_ERROR_ON_TIMEOUT=0 -DONESTEPFCN=1 -DTERMFCN=1 -DMAT_FILE=0 -DMULTI_INSTANCE_CODE=0 -DINTEGER_CODE=0 -DMT=0 -DCLASSIC_INTERFACE=0 -DALLOCATIONFCN=0 -DTID01EQ=0 -DSDRZ_SW_PROJECT -DRT -DSTACK_SIZE=64 -DMODEL=usrpe3xxHWSWQPSKSL_interface -DNUMST=3 -DNCSTATES=0 -DHAVESTDIO -IC:/ProgramData/MATLAB/SupportPackages/R2016b/toolbox/shared/sdr/sdrplug/sdrpluginbase/host/include -IC:/ProgramData/MATLAB/SupportPackages/R2016b/toolbox/target/supportpackages/zynq/include -IC:/MATLAB/R2016b/simulink/include/sf_runtime -IC:/MyMatlab2016b/QPSK_E3xx/usrpe3xxHWSWQPSKSL_interface_ert_rtw -IC:/MyMatlab2016b/QPSK_E3xx -IC:/MATLAB/R2016b/extern/include -IC:/MATLAB/R2016b/simulink/include -IC:/MATLAB/R2016b/rtw/c/src -IC:/MATLAB/R2016b/rtw/c/src/ext_mode/common -IC:/MATLAB/R2016b/rtw/c/ert -IC:/MATLAB/R2016b/toolbox/dsp/extern/src/export/include -IC:/MATLAB/R2016b/toolbox/dsp/extern/src/export/include/src -IC:/MATLAB/R2016b/toolbox/comm/extern/comm_rt/export/include -IC:/MATLAB/R2016b/toolbox/comm/extern/comm_rt/export/include/comm_rt -IC:/MATLAB/R2016b/toolbox/shared/dsp/vision/matlab/include -IC:/MATLAB/R2016b/toolbox/dsp/include -IC:/ProgramData/MATLAB/SupportPackages/R2016b/toolbox/shared/sdr/sdrplug/sdrpluginbase/esw/xilarch/zynq/sw_targeting/@slCustomizer/../include -IC:/MATLAB/R2016b/toolbox/target/codertarget/rtos/inc -o "rt_nonfinite.c.o" "rt_nonfinite.c"
C:\Xilinx\SDK\2015.4\gnu\arm\nt\bin/arm-xilinx-linux-gnueabi-gcc -c -march=armv7-a -mcpu=cortex-a9 -mfloat-abi=softfp -mfpu=neon -MMD -MP -MF"usrpe3xxHWSWQPSKSL_interface.c.dep" -MT"usrpe3xxHWSWQPSKSL_interface.c.o" -O2 -DMODEL=usrpe3xxHWSWQPSKSL_interface -DNUMST=3 -DNCSTATES=0 -DHAVESTDIO -DONESTEPFCN=1 -DTERMFCN=1 -DMAT_FILE=0 -DMULTI_INSTANCE_CODE=0 -DINTEGER_CODE=0 -DMT=0 -DCLASSIC_INTERFACE=0 -DALLOCATIONFCN=0 -DTID01EQ=0 -D__MW_TARGET_USE_HARDWARE_RESOURCES_H__ -DSDRZ_SW_PROJECT -DRT -DSTACK_SIZE=64 -D__MW_AXI4STREAM_WRITE__=1 -D__MW_AXI4STREAM_READ__=1 -D__MW_SDR_INTERRUPT_MODE__=2 -D_POLL_DRIVEN_BASERATE_ -DPOLL_SEARCH_PATH=\"/sys/devices\" -DPOLL_FILE_NAME=\"dma_ch2\" -DPOLL_INITIAL_TICKS_COUNT=2 -DPOLL_ERROR_ON_TIMEOUT=0 -DONESTEPFCN=1 -DTERMFCN=1 -DMAT_FILE=0 -DMULTI_INSTANCE_CODE=0 -DINTEGER_CODE=0 -DMT=0 -DCLASSIC_INTERFACE=0 -DALLOCATIONFCN=0 -DTID01EQ=0 -DSDRZ_SW_PROJECT -DRT -DSTACK_SIZE=64 -DMODEL=usrpe3xxHWSWQPSKSL_interface -DNUMST=3 -DNCSTATES=0 -DHAVESTDIO -IC:/ProgramData/MATLAB/SupportPackages/R2016b/toolbox/shared/sdr/sdrplug/sdrpluginbase/host/include -IC:/ProgramData/MATLAB/SupportPackages/R2016b/toolbox/target/supportpackages/zynq/include -IC:/MATLAB/R2016b/simulink/include/sf_runtime -IC:/MyMatlab2016b/QPSK_E3xx/usrpe3xxHWSWQPSKSL_interface_ert_rtw -IC:/MyMatlab2016b/QPSK_E3xx -IC:/MATLAB/R2016b/extern/include -IC:/MATLAB/R2016b/simulink/include -IC:/MATLAB/R2016b/rtw/c/src -IC:/MATLAB/R2016b/rtw/c/src/ext_mode/common -IC:/MATLAB/R2016b/rtw/c/ert -IC:/MATLAB/R2016b/toolbox/dsp/extern/src/export/include -IC:/MATLAB/R2016b/toolbox/dsp/extern/src/export/include/src -IC:/MATLAB/R2016b/toolbox/comm/extern/comm_rt/export/include -IC:/MATLAB/R2016b/toolbox/comm/extern/comm_rt/export/include/comm_rt -IC:/MATLAB/R2016b/toolbox/shared/dsp/vision/matlab/include -IC:/MATLAB/R2016b/toolbox/dsp/include -IC:/ProgramData/MATLAB/SupportPackages/R2016b/toolbox/shared/sdr/sdrplug/sdrpluginbase/esw/xilarch/zynq/sw_targeting/@slCustomizer/../include -IC:/MATLAB/R2016b/toolbox/target/codertarget/rtos/inc -o "usrpe3xxHWSWQPSKSL_interface.c.o" "usrpe3xxHWSWQPSKSL_interface.c"
C:\Xilinx\SDK\2015.4\gnu\arm\nt\bin/arm-xilinx-linux-gnueabi-gcc -c -march=armv7-a -mcpu=cortex-a9 -mfloat-abi=softfp -mfpu=neon -MMD -MP -MF"usrpe3xxHWSWQPSKSL_interface_data.c.dep" -MT"usrpe3xxHWSWQPSKSL_interface_data.c.o" -O2 -DMODEL=usrpe3xxHWSWQPSKSL_interface -DNUMST=3 -DNCSTATES=0 -DHAVESTDIO -DONESTEPFCN=1 -DTERMFCN=1 -DMAT_FILE=0 -DMULTI_INSTANCE_CODE=0 -DINTEGER_CODE=0 -DMT=0 -DCLASSIC_INTERFACE=0 -DALLOCATIONFCN=0 -DTID01EQ=0 -D__MW_TARGET_USE_HARDWARE_RESOURCES_H__ -DSDRZ_SW_PROJECT -DRT -DSTACK_SIZE=64 -D__MW_AXI4STREAM_WRITE__=1 -D__MW_AXI4STREAM_READ__=1 -D__MW_SDR_INTERRUPT_MODE__=2 -D_POLL_DRIVEN_BASERATE_ -DPOLL_SEARCH_PATH=\"/sys/devices\" -DPOLL_FILE_NAME=\"dma_ch2\" -DPOLL_INITIAL_TICKS_COUNT=2 -DPOLL_ERROR_ON_TIMEOUT=0 -DONESTEPFCN=1 -DTERMFCN=1 -DMAT_FILE=0 -DMULTI_INSTANCE_CODE=0 -DINTEGER_CODE=0 -DMT=0 -DCLASSIC_INTERFACE=0 -DALLOCATIONFCN=0 -DTID01EQ=0 -DSDRZ_SW_PROJECT -DRT -DSTACK_SIZE=64 -DMODEL=usrpe3xxHWSWQPSKSL_interface -DNUMST=3 -DNCSTATES=0 -DHAVESTDIO -IC:/ProgramData/MATLAB/SupportPackages/R2016b/toolbox/shared/sdr/sdrplug/sdrpluginbase/host/include -IC:/ProgramData/MATLAB/SupportPackages/R2016b/toolbox/target/supportpackages/zynq/include -IC:/MATLAB/R2016b/simulink/include/sf_runtime -IC:/MyMatlab2016b/QPSK_E3xx/usrpe3xxHWSWQPSKSL_interface_ert_rtw -IC:/MyMatlab2016b/QPSK_E3xx -IC:/MATLAB/R2016b/extern/include -IC:/MATLAB/R2016b/simulink/include -IC:/MATLAB/R2016b/rtw/c/src -IC:/MATLAB/R2016b/rtw/c/src/ext_mode/common -IC:/MATLAB/R2016b/rtw/c/ert -IC:/MATLAB/R2016b/toolbox/dsp/extern/src/export/include -IC:/MATLAB/R2016b/toolbox/dsp/extern/src/export/include/src -IC:/MATLAB/R2016b/toolbox/comm/extern/comm_rt/export/include -IC:/MATLAB/R2016b/toolbox/comm/extern/comm_rt/export/include/comm_rt -IC:/MATLAB/R2016b/toolbox/shared/dsp/vision/matlab/include -IC:/MATLAB/R2016b/toolbox/dsp/include -IC:/ProgramData/MATLAB/SupportPackages/R2016b/toolbox/shared/sdr/sdrplug/sdrpluginbase/esw/xilarch/zynq/sw_targeting/@slCustomizer/../include -IC:/MATLAB/R2016b/toolbox/target/codertarget/rtos/inc -o "usrpe3xxHWSWQPSKSL_interface_data.c.o" "usrpe3xxHWSWQPSKSL_interface_data.c"
C:\Xilinx\SDK\2015.4\gnu\arm\nt\bin/arm-xilinx-linux-gnueabi-gcc -c -march=armv7-a -mcpu=cortex-a9 -mfloat-abi=softfp -mfpu=neon -MMD -MP -MF"axi4Lite.c.dep" -MT"axi4Lite.c.o" -O2 -DMODEL=usrpe3xxHWSWQPSKSL_interface -DNUMST=3 -DNCSTATES=0 -DHAVESTDIO -DONESTEPFCN=1 -DTERMFCN=1 -DMAT_FILE=0 -DMULTI_INSTANCE_CODE=0 -DINTEGER_CODE=0 -DMT=0 -DCLASSIC_INTERFACE=0 -DALLOCATIONFCN=0 -DTID01EQ=0 -D__MW_TARGET_USE_HARDWARE_RESOURCES_H__ -DSDRZ_SW_PROJECT -DRT -DSTACK_SIZE=64 -D__MW_AXI4STREAM_WRITE__=1 -D__MW_AXI4STREAM_READ__=1 -D__MW_SDR_INTERRUPT_MODE__=2 -D_POLL_DRIVEN_BASERATE_ -DPOLL_SEARCH_PATH=\"/sys/devices\" -DPOLL_FILE_NAME=\"dma_ch2\" -DPOLL_INITIAL_TICKS_COUNT=2 -DPOLL_ERROR_ON_TIMEOUT=0 -DONESTEPFCN=1 -DTERMFCN=1 -DMAT_FILE=0 -DMULTI_INSTANCE_CODE=0 -DINTEGER_CODE=0 -DMT=0 -DCLASSIC_INTERFACE=0 -DALLOCATIONFCN=0 -DTID01EQ=0 -DSDRZ_SW_PROJECT -DRT -DSTACK_SIZE=64 -DMODEL=usrpe3xxHWSWQPSKSL_interface -DNUMST=3 -DNCSTATES=0 -DHAVESTDIO -IC:/ProgramData/MATLAB/SupportPackages/R2016b/toolbox/shared/sdr/sdrplug/sdrpluginbase/host/include -IC:/ProgramData/MATLAB/SupportPackages/R2016b/toolbox/target/supportpackages/zynq/include -IC:/MATLAB/R2016b/simulink/include/sf_runtime -IC:/MyMatlab2016b/QPSK_E3xx/usrpe3xxHWSWQPSKSL_interface_ert_rtw -IC:/MyMatlab2016b/QPSK_E3xx -IC:/MATLAB/R2016b/extern/include -IC:/MATLAB/R2016b/simulink/include -IC:/MATLAB/R2016b/rtw/c/src -IC:/MATLAB/R2016b/rtw/c/src/ext_mode/common -IC:/MATLAB/R2016b/rtw/c/ert -IC:/MATLAB/R2016b/toolbox/dsp/extern/src/export/include -IC:/MATLAB/R2016b/toolbox/dsp/extern/src/export/include/src -IC:/MATLAB/R2016b/toolbox/comm/extern/comm_rt/export/include -IC:/MATLAB/R2016b/toolbox/comm/extern/comm_rt/export/include/comm_rt -IC:/MATLAB/R2016b/toolbox/shared/dsp/vision/matlab/include -IC:/MATLAB/R2016b/toolbox/dsp/include -IC:/ProgramData/MATLAB/SupportPackages/R2016b/toolbox/shared/sdr/sdrplug/sdrpluginbase/esw/xilarch/zynq/sw_targeting/@slCustomizer/../include -IC:/MATLAB/R2016b/toolbox/target/codertarget/rtos/inc -o "axi4Lite.c.o" "C:/ProgramData/MATLAB/SupportPackages/R2016b/toolbox/target/supportpackages/zynq/src/axi4Lite.c"
C:\Xilinx\SDK\2015.4\gnu\arm\nt\bin/arm-xilinx-linux-gnueabi-gcc -c -march=armv7-a -mcpu=cortex-a9 -mfloat-abi=softfp -mfpu=neon -MMD -MP -MF"sdrz_arm.c.dep" -MT"sdrz_arm.c.o" -O2 -DMODEL=usrpe3xxHWSWQPSKSL_interface -DNUMST=3 -DNCSTATES=0 -DHAVESTDIO -DONESTEPFCN=1 -DTERMFCN=1 -DMAT_FILE=0 -DMULTI_INSTANCE_CODE=0 -DINTEGER_CODE=0 -DMT=0 -DCLASSIC_INTERFACE=0 -DALLOCATIONFCN=0 -DTID01EQ=0 -D__MW_TARGET_USE_HARDWARE_RESOURCES_H__ -DSDRZ_SW_PROJECT -DRT -DSTACK_SIZE=64 -D__MW_AXI4STREAM_WRITE__=1 -D__MW_AXI4STREAM_READ__=1 -D__MW_SDR_INTERRUPT_MODE__=2 -D_POLL_DRIVEN_BASERATE_ -DPOLL_SEARCH_PATH=\"/sys/devices\" -DPOLL_FILE_NAME=\"dma_ch2\" -DPOLL_INITIAL_TICKS_COUNT=2 -DPOLL_ERROR_ON_TIMEOUT=0 -DONESTEPFCN=1 -DTERMFCN=1 -DMAT_FILE=0 -DMULTI_INSTANCE_CODE=0 -DINTEGER_CODE=0 -DMT=0 -DCLASSIC_INTERFACE=0 -DALLOCATIONFCN=0 -DTID01EQ=0 -DSDRZ_SW_PROJECT -DRT -DSTACK_SIZE=64 -DMODEL=usrpe3xxHWSWQPSKSL_interface -DNUMST=3 -DNCSTATES=0 -DHAVESTDIO -IC:/ProgramData/MATLAB/SupportPackages/R2016b/toolbox/shared/sdr/sdrplug/sdrpluginbase/host/include -IC:/ProgramData/MATLAB/SupportPackages/R2016b/toolbox/target/supportpackages/zynq/include -IC:/MATLAB/R2016b/simulink/include/sf_runtime -IC:/MyMatlab2016b/QPSK_E3xx/usrpe3xxHWSWQPSKSL_interface_ert_rtw -IC:/MyMatlab2016b/QPSK_E3xx -IC:/MATLAB/R2016b/extern/include -IC:/MATLAB/R2016b/simulink/include -IC:/MATLAB/R2016b/rtw/c/src -IC:/MATLAB/R2016b/rtw/c/src/ext_mode/common -IC:/MATLAB/R2016b/rtw/c/ert -IC:/MATLAB/R2016b/toolbox/dsp/extern/src/export/include -IC:/MATLAB/R2016b/toolbox/dsp/extern/src/export/include/src -IC:/MATLAB/R2016b/toolbox/comm/extern/comm_rt/export/include -IC:/MATLAB/R2016b/toolbox/comm/extern/comm_rt/export/include/comm_rt -IC:/MATLAB/R2016b/toolbox/shared/dsp/vision/matlab/include -IC:/MATLAB/R2016b/toolbox/dsp/include -IC:/ProgramData/MATLAB/SupportPackages/R2016b/toolbox/shared/sdr/sdrplug/sdrpluginbase/esw/xilarch/zynq/sw_targeting/@slCustomizer/../include -IC:/MATLAB/R2016b/toolbox/target/codertarget/rtos/inc -o "sdrz_arm.c.o" "C:/ProgramData/MATLAB/SupportPackages/R2016b/toolbox/shared/sdr/sdrplug/sdrpluginbase/esw/xilarch/zynq/sw_targeting/@slCustomizer/../src/sdrz_arm.c"
C:\Xilinx\SDK\2015.4\gnu\arm\nt\bin/arm-xilinx-linux-gnueabi-gcc -c -march=armv7-a -mcpu=cortex-a9 -mfloat-abi=softfp -mfpu=neon -MMD -MP -MF"MW_poll_event_init.c.dep" -MT"MW_poll_event_init.c.o" -O2 -DMODEL=usrpe3xxHWSWQPSKSL_interface -DNUMST=3 -DNCSTATES=0 -DHAVESTDIO -DONESTEPFCN=1 -DTERMFCN=1 -DMAT_FILE=0 -DMULTI_INSTANCE_CODE=0 -DINTEGER_CODE=0 -DMT=0 -DCLASSIC_INTERFACE=0 -DALLOCATIONFCN=0 -DTID01EQ=0 -D__MW_TARGET_USE_HARDWARE_RESOURCES_H__ -DSDRZ_SW_PROJECT -DRT -DSTACK_SIZE=64 -D__MW_AXI4STREAM_WRITE__=1 -D__MW_AXI4STREAM_READ__=1 -D__MW_SDR_INTERRUPT_MODE__=2 -D_POLL_DRIVEN_BASERATE_ -DPOLL_SEARCH_PATH=\"/sys/devices\" -DPOLL_FILE_NAME=\"dma_ch2\" -DPOLL_INITIAL_TICKS_COUNT=2 -DPOLL_ERROR_ON_TIMEOUT=0 -DONESTEPFCN=1 -DTERMFCN=1 -DMAT_FILE=0 -DMULTI_INSTANCE_CODE=0 -DINTEGER_CODE=0 -DMT=0 -DCLASSIC_INTERFACE=0 -DALLOCATIONFCN=0 -DTID01EQ=0 -DSDRZ_SW_PROJECT -DRT -DSTACK_SIZE=64 -DMODEL=usrpe3xxHWSWQPSKSL_interface -DNUMST=3 -DNCSTATES=0 -DHAVESTDIO -IC:/ProgramData/MATLAB/SupportPackages/R2016b/toolbox/shared/sdr/sdrplug/sdrpluginbase/host/include -IC:/ProgramData/MATLAB/SupportPackages/R2016b/toolbox/target/supportpackages/zynq/include -IC:/MATLAB/R2016b/simulink/include/sf_runtime -IC:/MyMatlab2016b/QPSK_E3xx/usrpe3xxHWSWQPSKSL_interface_ert_rtw -IC:/MyMatlab2016b/QPSK_E3xx -IC:/MATLAB/R2016b/extern/include -IC:/MATLAB/R2016b/simulink/include -IC:/MATLAB/R2016b/rtw/c/src -IC:/MATLAB/R2016b/rtw/c/src/ext_mode/common -IC:/MATLAB/R2016b/rtw/c/ert -IC:/MATLAB/R2016b/toolbox/dsp/extern/src/export/include -IC:/MATLAB/R2016b/toolbox/dsp/extern/src/export/include/src -IC:/MATLAB/R2016b/toolbox/comm/extern/comm_rt/export/include -IC:/MATLAB/R2016b/toolbox/comm/extern/comm_rt/export/include/comm_rt -IC:/MATLAB/R2016b/toolbox/shared/dsp/vision/matlab/include -IC:/MATLAB/R2016b/toolbox/dsp/include -IC:/ProgramData/MATLAB/SupportPackages/R2016b/toolbox/shared/sdr/sdrplug/sdrpluginbase/esw/xilarch/zynq/sw_targeting/@slCustomizer/../include -IC:/MATLAB/R2016b/toolbox/target/codertarget/rtos/inc -o "MW_poll_event_init.c.o" "C:/ProgramData/MATLAB/SupportPackages/R2016b/toolbox/shared/sdr/sdrplug/sdrpluginbase/esw/xilarch/zynq/sw_targeting/@slCustomizer/../src/MW_poll_event_init.c"
C:\Xilinx\SDK\2015.4\gnu\arm\nt\bin/arm-xilinx-linux-gnueabi-gcc -c -march=armv7-a -mcpu=cortex-a9 -mfloat-abi=softfp -mfpu=neon -MMD -MP -MF"linuxinitialize.c.dep" -MT"linuxinitialize.c.o" -O2 -DMODEL=usrpe3xxHWSWQPSKSL_interface -DNUMST=3 -DNCSTATES=0 -DHAVESTDIO -DONESTEPFCN=1 -DTERMFCN=1 -DMAT_FILE=0 -DMULTI_INSTANCE_CODE=0 -DINTEGER_CODE=0 -DMT=0 -DCLASSIC_INTERFACE=0 -DALLOCATIONFCN=0 -DTID01EQ=0 -D__MW_TARGET_USE_HARDWARE_RESOURCES_H__ -DSDRZ_SW_PROJECT -DRT -DSTACK_SIZE=64 -D__MW_AXI4STREAM_WRITE__=1 -D__MW_AXI4STREAM_READ__=1 -D__MW_SDR_INTERRUPT_MODE__=2 -D_POLL_DRIVEN_BASERATE_ -DPOLL_SEARCH_PATH=\"/sys/devices\" -DPOLL_FILE_NAME=\"dma_ch2\" -DPOLL_INITIAL_TICKS_COUNT=2 -DPOLL_ERROR_ON_TIMEOUT=0 -DONESTEPFCN=1 -DTERMFCN=1 -DMAT_FILE=0 -DMULTI_INSTANCE_CODE=0 -DINTEGER_CODE=0 -DMT=0 -DCLASSIC_INTERFACE=0 -DALLOCATIONFCN=0 -DTID01EQ=0 -DSDRZ_SW_PROJECT -DRT -DSTACK_SIZE=64 -DMODEL=usrpe3xxHWSWQPSKSL_interface -DNUMST=3 -DNCSTATES=0 -DHAVESTDIO -IC:/ProgramData/MATLAB/SupportPackages/R2016b/toolbox/shared/sdr/sdrplug/sdrpluginbase/host/include -IC:/ProgramData/MATLAB/SupportPackages/R2016b/toolbox/target/supportpackages/zynq/include -IC:/MATLAB/R2016b/simulink/include/sf_runtime -IC:/MyMatlab2016b/QPSK_E3xx/usrpe3xxHWSWQPSKSL_interface_ert_rtw -IC:/MyMatlab2016b/QPSK_E3xx -IC:/MATLAB/R2016b/extern/include -IC:/MATLAB/R2016b/simulink/include -IC:/MATLAB/R2016b/rtw/c/src -IC:/MATLAB/R2016b/rtw/c/src/ext_mode/common -IC:/MATLAB/R2016b/rtw/c/ert -IC:/MATLAB/R2016b/toolbox/dsp/extern/src/export/include -IC:/MATLAB/R2016b/toolbox/dsp/extern/src/export/include/src -IC:/MATLAB/R2016b/toolbox/comm/extern/comm_rt/export/include -IC:/MATLAB/R2016b/toolbox/comm/extern/comm_rt/export/include/comm_rt -IC:/MATLAB/R2016b/toolbox/shared/dsp/vision/matlab/include -IC:/MATLAB/R2016b/toolbox/dsp/include -IC:/ProgramData/MATLAB/SupportPackages/R2016b/toolbox/shared/sdr/sdrplug/sdrpluginbase/esw/xilarch/zynq/sw_targeting/@slCustomizer/../include -IC:/MATLAB/R2016b/toolbox/target/codertarget/rtos/inc -o "linuxinitialize.c.o" "C:/ProgramData/MATLAB/SupportPackages/R2016b/toolbox/shared/sdr/sdrplug/sdrpluginbase/esw/xilarch/zynq/sw_targeting/@slCustomizer/../src/linuxinitialize.c"
C:\Xilinx\SDK\2015.4\gnu\arm\nt\bin/arm-xilinx-linux-gnueabi-gcc -c -march=armv7-a -mcpu=cortex-a9 -mfloat-abi=softfp -mfpu=neon -MMD -MP -MF"axi4Stream.c.dep" -MT"axi4Stream.c.o" -O2 -DMODEL=usrpe3xxHWSWQPSKSL_interface -DNUMST=3 -DNCSTATES=0 -DHAVESTDIO -DONESTEPFCN=1 -DTERMFCN=1 -DMAT_FILE=0 -DMULTI_INSTANCE_CODE=0 -DINTEGER_CODE=0 -DMT=0 -DCLASSIC_INTERFACE=0 -DALLOCATIONFCN=0 -DTID01EQ=0 -D__MW_TARGET_USE_HARDWARE_RESOURCES_H__ -DSDRZ_SW_PROJECT -DRT -DSTACK_SIZE=64 -D__MW_AXI4STREAM_WRITE__=1 -D__MW_AXI4STREAM_READ__=1 -D__MW_SDR_INTERRUPT_MODE__=2 -D_POLL_DRIVEN_BASERATE_ -DPOLL_SEARCH_PATH=\"/sys/devices\" -DPOLL_FILE_NAME=\"dma_ch2\" -DPOLL_INITIAL_TICKS_COUNT=2 -DPOLL_ERROR_ON_TIMEOUT=0 -DONESTEPFCN=1 -DTERMFCN=1 -DMAT_FILE=0 -DMULTI_INSTANCE_CODE=0 -DINTEGER_CODE=0 -DMT=0 -DCLASSIC_INTERFACE=0 -DALLOCATIONFCN=0 -DTID01EQ=0 -DSDRZ_SW_PROJECT -DRT -DSTACK_SIZE=64 -DMODEL=usrpe3xxHWSWQPSKSL_interface -DNUMST=3 -DNCSTATES=0 -DHAVESTDIO -IC:/ProgramData/MATLAB/SupportPackages/R2016b/toolbox/shared/sdr/sdrplug/sdrpluginbase/host/include -IC:/ProgramData/MATLAB/SupportPackages/R2016b/toolbox/target/supportpackages/zynq/include -IC:/MATLAB/R2016b/simulink/include/sf_runtime -IC:/MyMatlab2016b/QPSK_E3xx/usrpe3xxHWSWQPSKSL_interface_ert_rtw -IC:/MyMatlab2016b/QPSK_E3xx -IC:/MATLAB/R2016b/extern/include -IC:/MATLAB/R2016b/simulink/include -IC:/MATLAB/R2016b/rtw/c/src -IC:/MATLAB/R2016b/rtw/c/src/ext_mode/common -IC:/MATLAB/R2016b/rtw/c/ert -IC:/MATLAB/R2016b/toolbox/dsp/extern/src/export/include -IC:/MATLAB/R2016b/toolbox/dsp/extern/src/export/include/src -IC:/MATLAB/R2016b/toolbox/comm/extern/comm_rt/export/include -IC:/MATLAB/R2016b/toolbox/comm/extern/comm_rt/export/include/comm_rt -IC:/MATLAB/R2016b/toolbox/shared/dsp/vision/matlab/include -IC:/MATLAB/R2016b/toolbox/dsp/include -IC:/ProgramData/MATLAB/SupportPackages/R2016b/toolbox/shared/sdr/sdrplug/sdrpluginbase/esw/xilarch/zynq/sw_targeting/@slCustomizer/../include -IC:/MATLAB/R2016b/toolbox/target/codertarget/rtos/inc -o "axi4Stream.c.o" "C:/ProgramData/MATLAB/SupportPackages/R2016b/toolbox/target/supportpackages/zynq/src/axi4Stream.c"
C:\Xilinx\SDK\2015.4\gnu\arm\nt\bin/arm-xilinx-linux-gnueabi-gcc -c -march=armv7-a -mcpu=cortex-a9 -mfloat-abi=softfp -mfpu=neon -MMD -MP -MF"MW_poll_event.c.dep" -MT"MW_poll_event.c.o" -O2 -DMODEL=usrpe3xxHWSWQPSKSL_interface -DNUMST=3 -DNCSTATES=0 -DHAVESTDIO -DONESTEPFCN=1 -DTERMFCN=1 -DMAT_FILE=0 -DMULTI_INSTANCE_CODE=0 -DINTEGER_CODE=0 -DMT=0 -DCLASSIC_INTERFACE=0 -DALLOCATIONFCN=0 -DTID01EQ=0 -D__MW_TARGET_USE_HARDWARE_RESOURCES_H__ -DSDRZ_SW_PROJECT -DRT -DSTACK_SIZE=64 -D__MW_AXI4STREAM_WRITE__=1 -D__MW_AXI4STREAM_READ__=1 -D__MW_SDR_INTERRUPT_MODE__=2 -D_POLL_DRIVEN_BASERATE_ -DPOLL_SEARCH_PATH=\"/sys/devices\" -DPOLL_FILE_NAME=\"dma_ch2\" -DPOLL_INITIAL_TICKS_COUNT=2 -DPOLL_ERROR_ON_TIMEOUT=0 -DONESTEPFCN=1 -DTERMFCN=1 -DMAT_FILE=0 -DMULTI_INSTANCE_CODE=0 -DINTEGER_CODE=0 -DMT=0 -DCLASSIC_INTERFACE=0 -DALLOCATIONFCN=0 -DTID01EQ=0 -DSDRZ_SW_PROJECT -DRT -DSTACK_SIZE=64 -DMODEL=usrpe3xxHWSWQPSKSL_interface -DNUMST=3 -DNCSTATES=0 -DHAVESTDIO -IC:/ProgramData/MATLAB/SupportPackages/R2016b/toolbox/shared/sdr/sdrplug/sdrpluginbase/host/include -IC:/ProgramData/MATLAB/SupportPackages/R2016b/toolbox/target/supportpackages/zynq/include -IC:/MATLAB/R2016b/simulink/include/sf_runtime -IC:/MyMatlab2016b/QPSK_E3xx/usrpe3xxHWSWQPSKSL_interface_ert_rtw -IC:/MyMatlab2016b/QPSK_E3xx -IC:/MATLAB/R2016b/extern/include -IC:/MATLAB/R2016b/simulink/include -IC:/MATLAB/R2016b/rtw/c/src -IC:/MATLAB/R2016b/rtw/c/src/ext_mode/common -IC:/MATLAB/R2016b/rtw/c/ert -IC:/MATLAB/R2016b/toolbox/dsp/extern/src/export/include -IC:/MATLAB/R2016b/toolbox/dsp/extern/src/export/include/src -IC:/MATLAB/R2016b/toolbox/comm/extern/comm_rt/export/include -IC:/MATLAB/R2016b/toolbox/comm/extern/comm_rt/export/include/comm_rt -IC:/MATLAB/R2016b/toolbox/shared/dsp/vision/matlab/include -IC:/MATLAB/R2016b/toolbox/dsp/include -IC:/ProgramData/MATLAB/SupportPackages/R2016b/toolbox/shared/sdr/sdrplug/sdrpluginbase/esw/xilarch/zynq/sw_targeting/@slCustomizer/../include -IC:/MATLAB/R2016b/toolbox/target/codertarget/rtos/inc -o "MW_poll_event.c.o" "C:/ProgramData/MATLAB/SupportPackages/R2016b/toolbox/shared/sdr/sdrplug/sdrpluginbase/esw/xilarch/zynq/sw_targeting/src/MW_poll_event.c"
C:\Xilinx\SDK\2015.4\gnu\arm\nt\bin/arm-xilinx-linux-gnueabi-gcc -c -march=armv7-a -mcpu=cortex-a9 -mfloat-abi=softfp -mfpu=neon -MMD -MP -MF"ert_main.c.dep" -MT"ert_main.c.o" -O2 -DMODEL=usrpe3xxHWSWQPSKSL_interface -DNUMST=3 -DNCSTATES=0 -DHAVESTDIO -DONESTEPFCN=1 -DTERMFCN=1 -DMAT_FILE=0 -DMULTI_INSTANCE_CODE=0 -DINTEGER_CODE=0 -DMT=0 -DCLASSIC_INTERFACE=0 -DALLOCATIONFCN=0 -DTID01EQ=0 -D__MW_TARGET_USE_HARDWARE_RESOURCES_H__ -DSDRZ_SW_PROJECT -DRT -DSTACK_SIZE=64 -D__MW_AXI4STREAM_WRITE__=1 -D__MW_AXI4STREAM_READ__=1 -D__MW_SDR_INTERRUPT_MODE__=2 -D_POLL_DRIVEN_BASERATE_ -DPOLL_SEARCH_PATH=\"/sys/devices\" -DPOLL_FILE_NAME=\"dma_ch2\" -DPOLL_INITIAL_TICKS_COUNT=2 -DPOLL_ERROR_ON_TIMEOUT=0 -DONESTEPFCN=1 -DTERMFCN=1 -DMAT_FILE=0 -DMULTI_INSTANCE_CODE=0 -DINTEGER_CODE=0 -DMT=0 -DCLASSIC_INTERFACE=0 -DALLOCATIONFCN=0 -DTID01EQ=0 -DSDRZ_SW_PROJECT -DRT -DSTACK_SIZE=64 -DMODEL=usrpe3xxHWSWQPSKSL_interface -DNUMST=3 -DNCSTATES=0 -DHAVESTDIO -IC:/ProgramData/MATLAB/SupportPackages/R2016b/toolbox/shared/sdr/sdrplug/sdrpluginbase/host/include -IC:/ProgramData/MATLAB/SupportPackages/R2016b/toolbox/target/supportpackages/zynq/include -IC:/MATLAB/R2016b/simulink/include/sf_runtime -IC:/MyMatlab2016b/QPSK_E3xx/usrpe3xxHWSWQPSKSL_interface_ert_rtw -IC:/MyMatlab2016b/QPSK_E3xx -IC:/MATLAB/R2016b/extern/include -IC:/MATLAB/R2016b/simulink/include -IC:/MATLAB/R2016b/rtw/c/src -IC:/MATLAB/R2016b/rtw/c/src/ext_mode/common -IC:/MATLAB/R2016b/rtw/c/ert -IC:/MATLAB/R2016b/toolbox/dsp/extern/src/export/include -IC:/MATLAB/R2016b/toolbox/dsp/extern/src/export/include/src -IC:/MATLAB/R2016b/toolbox/comm/extern/comm_rt/export/include -IC:/MATLAB/R2016b/toolbox/comm/extern/comm_rt/export/include/comm_rt -IC:/MATLAB/R2016b/toolbox/shared/dsp/vision/matlab/include -IC:/MATLAB/R2016b/toolbox/dsp/include -IC:/ProgramData/MATLAB/SupportPackages/R2016b/toolbox/shared/sdr/sdrplug/sdrpluginbase/esw/xilarch/zynq/sw_targeting/@slCustomizer/../include -IC:/MATLAB/R2016b/toolbox/target/codertarget/rtos/inc -o "ert_main.c.o" "ert_main.c"
"### Creating standalone executable "../usrpe3xxHWSWQPSKSL_interface" ..."
### Build procedure for model: 'usrpe3xxHWSWQPSKSL_interface' aborted due to an error. ### Failed to generate all binary outputs. 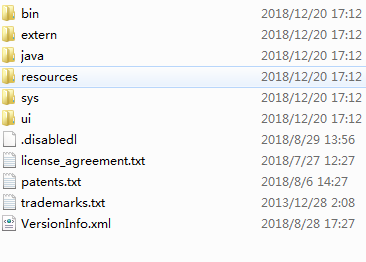 I cannot find the 'readme' file in the directory that was created when I installed the tool. Can you please point me to the instructions? I also can not find the readme.txt in the unpacked file package. Only the following fies~~~~, could somebody give me some instructions ? AHa , I have figured it out, the 'readme'file is not in the "Support Software Downloader "package ,but in the support package you downloaded. This is a guide for installing previously downloaded support software. copied folder from the computer on which you want to run the installation. files. All available support packages in the specified download folder are presented. and newer. For MATLAB releases before R2018a, see the interactive installation instructions. support packages that are to be installed. I also couldn't find any instructions about the installation of the tool. When i tried to run setup.exe in the folders in the package i took " Error finding installer class , an exeption occured while looking for class" error. Did you encounter similar problem or did you install the tool correctly? Could you please help me ? I am getting to the same errors "undefined reference to xxxxxx". Have you found any solution of this issue? hello guys when i try to download the support package for usbwebcam in r2017b, i get an error. Then when I try to download from the internet using the link above i instead download usbwebcams.mlpkginstall. Each time i run this file it opens matlab and tries to install it and i get the same error. Please can someone help me with a solution or with the zipped package? What kind of error did you take ? Could you please share a screenshot of the problem ? Maybe we can better help by knowing more information about your problem. By the way, if you solved the problem till now, could you please post the solution here ?